New designer leather journal . Floral embroidered work adds a graceful charm to red cover handmade paper journals. Passi Publications, your Media Partners are here since 1990 to assist you with complete solutions for all your Healthcare Communications. Handmade book made with hand made paper, can be kept as a journal. With the help of skilled manpower, we are involved in offering Handmade Journal. 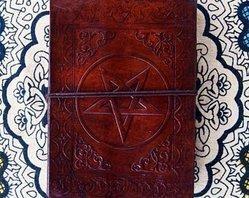 This Handmade Journal is made especially by under the supervision of the expert’s advice using best quality materials. The Handmade Journal is neatly packed before reaching the ultimate client. Our company is renowned as one of the most creative trader and supplier of Kantha Cover Journals. 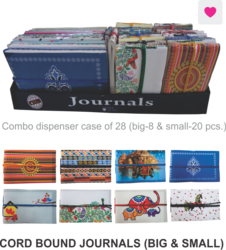 These journals are available with us in various sizes and plethora of designs. Kantha Cover Journal offered by us are designed with amazing patterns and finest quality of material.